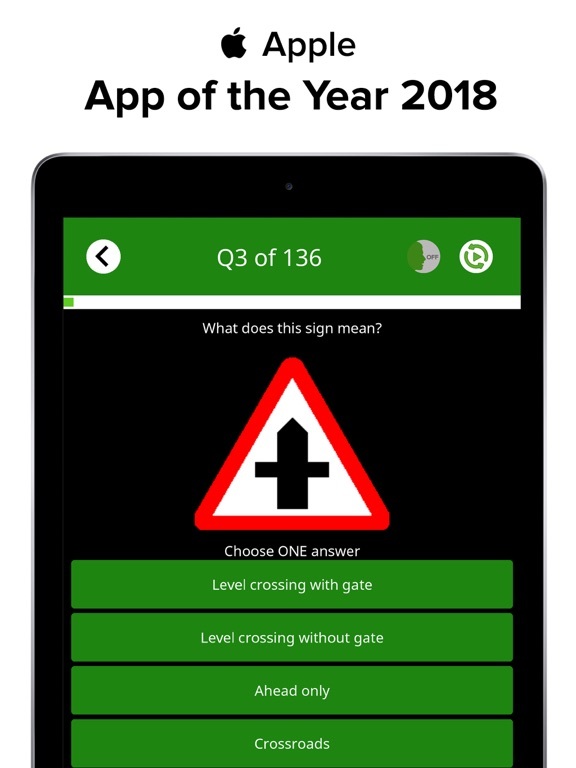 9/10 pass their Driving Theory Test using nothing more than this AWARD WINNING app! 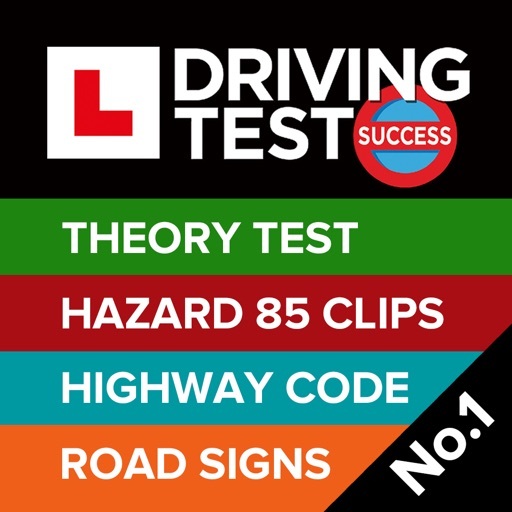 Revise with full confidence knowing that you have EVERYTHING you need to pass your Theory Test FIRST TIME. 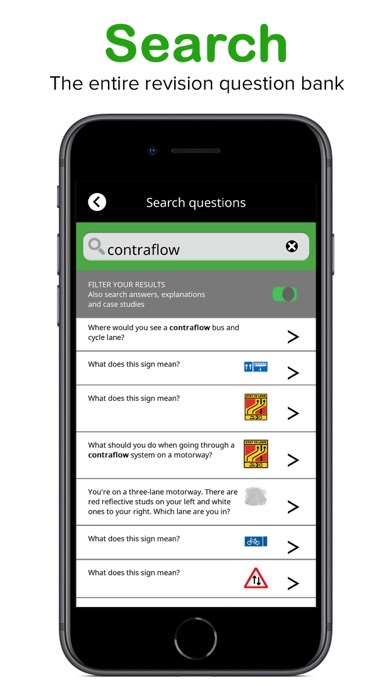 - Practise every revision question, answer and explanation, licensed from the DVSA (the people who set the Theory Test)...no other app contains more revision questions! 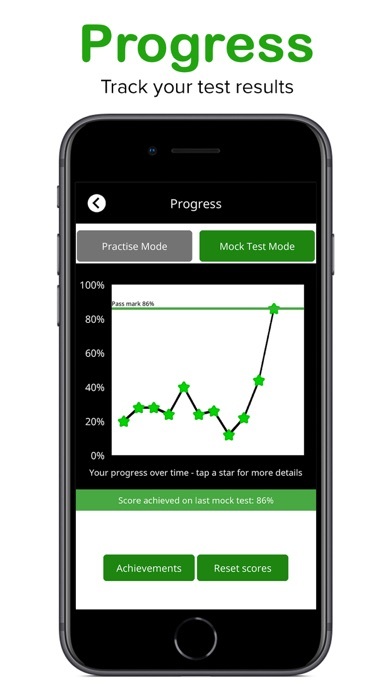 - Sit unlimited mock tests with case study questions. 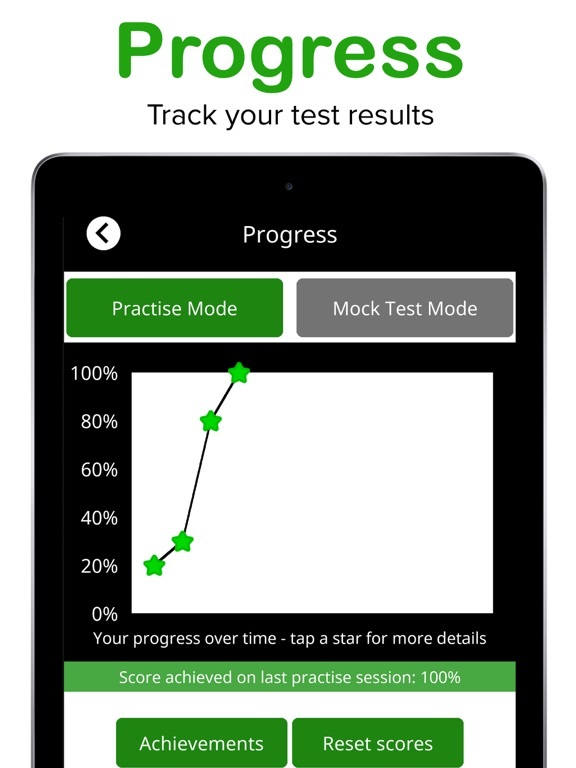 - Track your progress so you know when you’re ready to sit the real Theory Test! 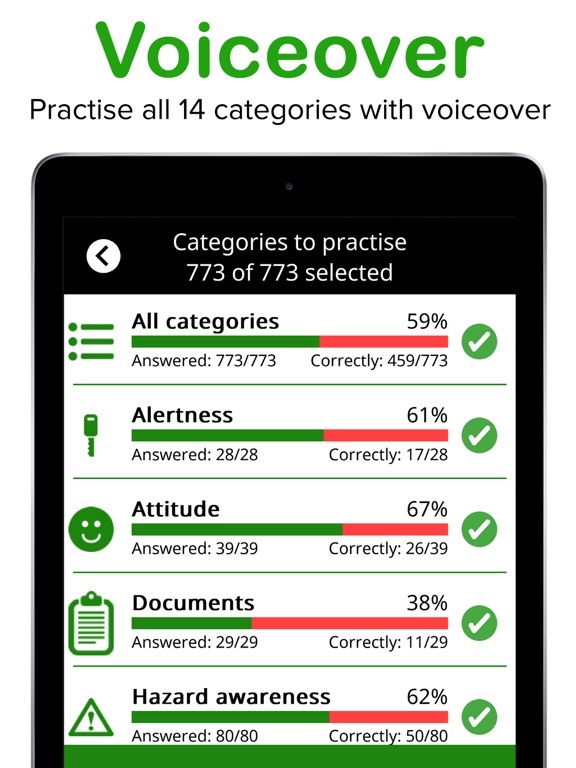 - English voiceover for all questions, explanations and answers. 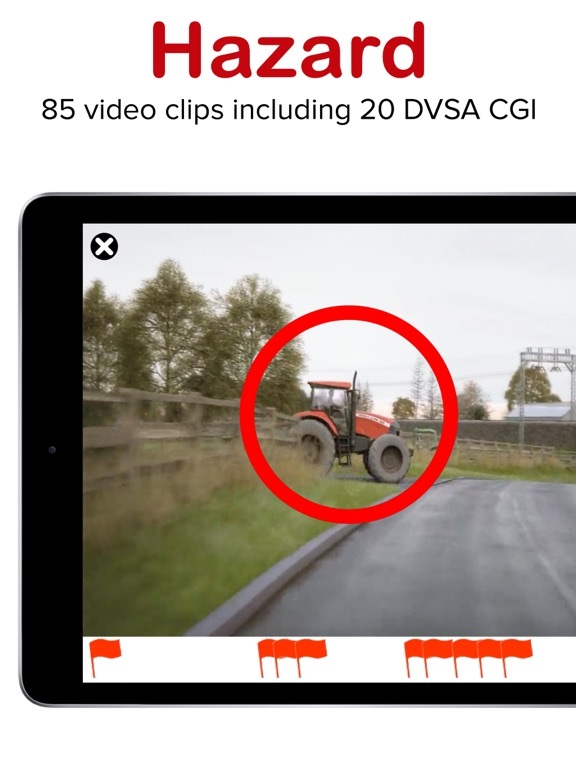 - 85 fully interactive video clips, including the 20 DVSA CGI clips. 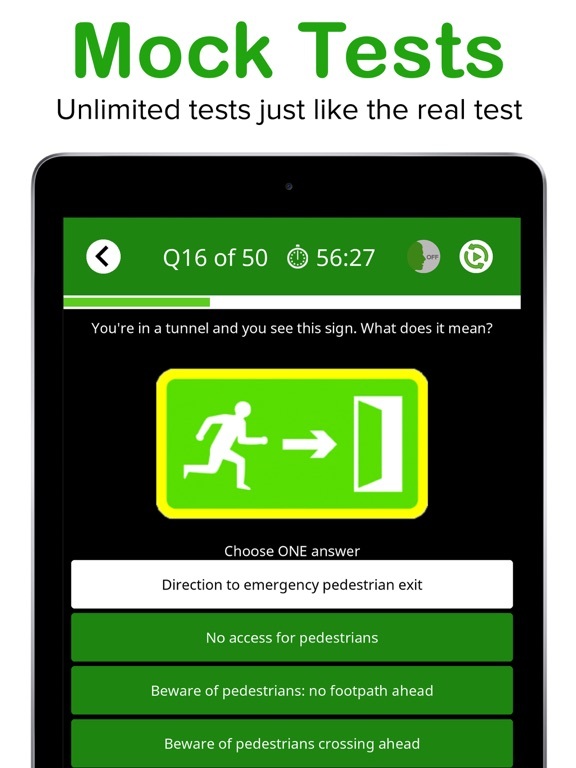 - Cheat detection software just like in the official test. 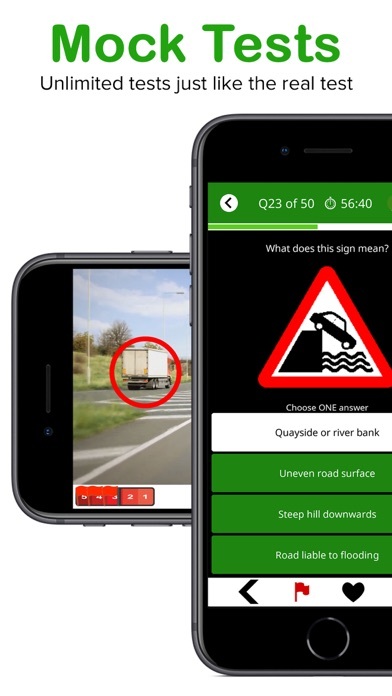 - Review clips to improve your skills for next time. 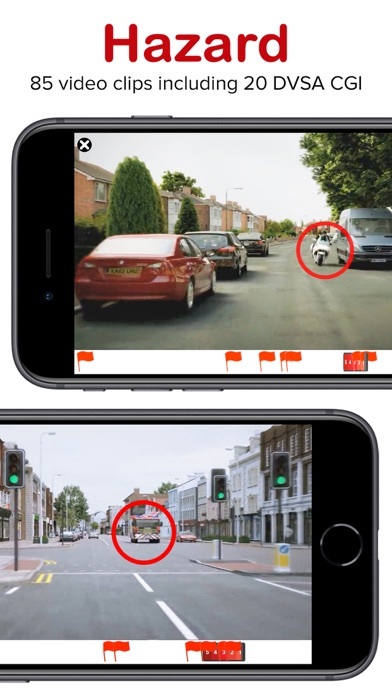 - Revise from the latest UK Highway Code. 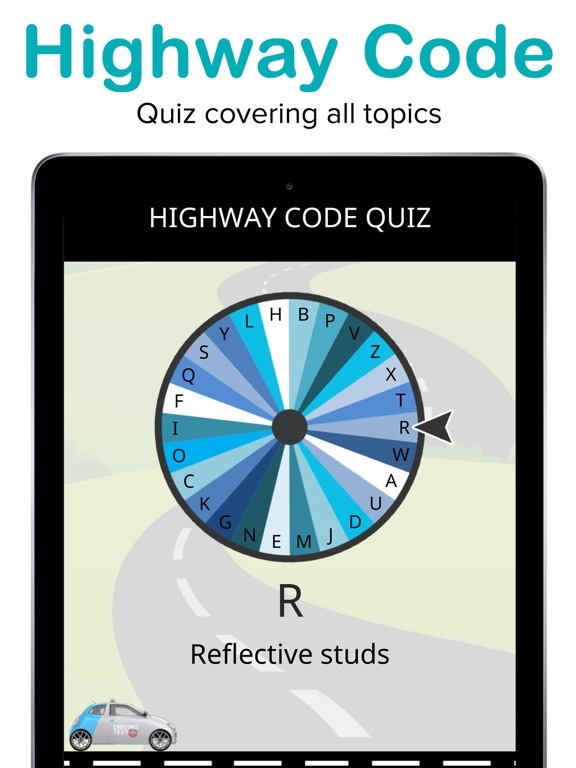 - Interactive game covering the A-Z topics to make learning more fun! 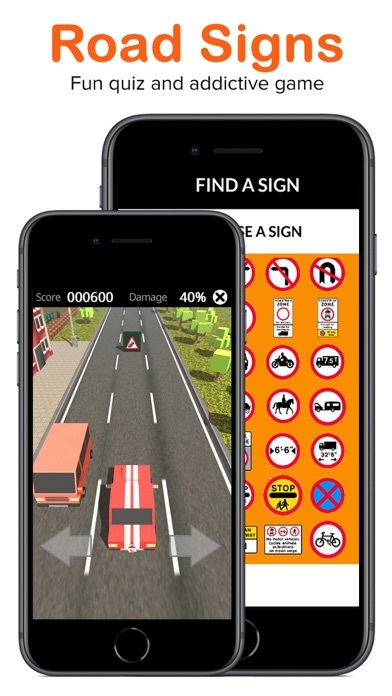 - Learn UK road signs using illustrations, descriptions and over 1,500 photos. 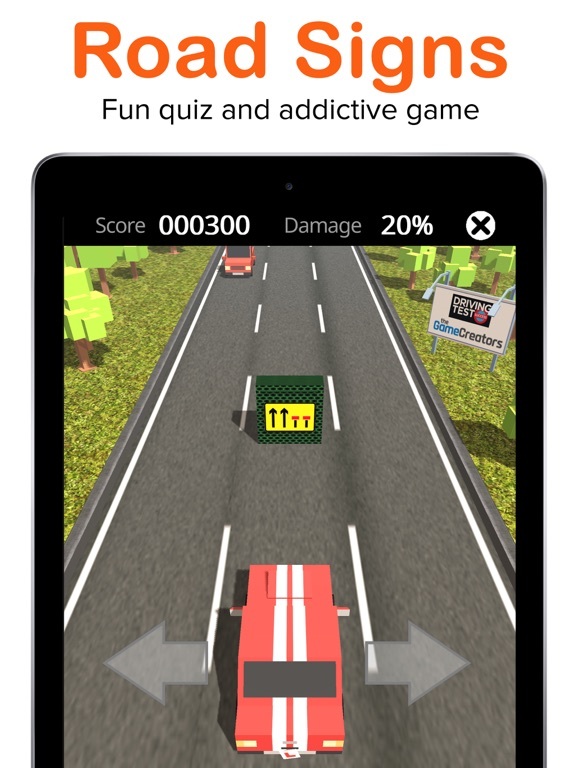 - Test your knowledge using the fun and highly addictive game. 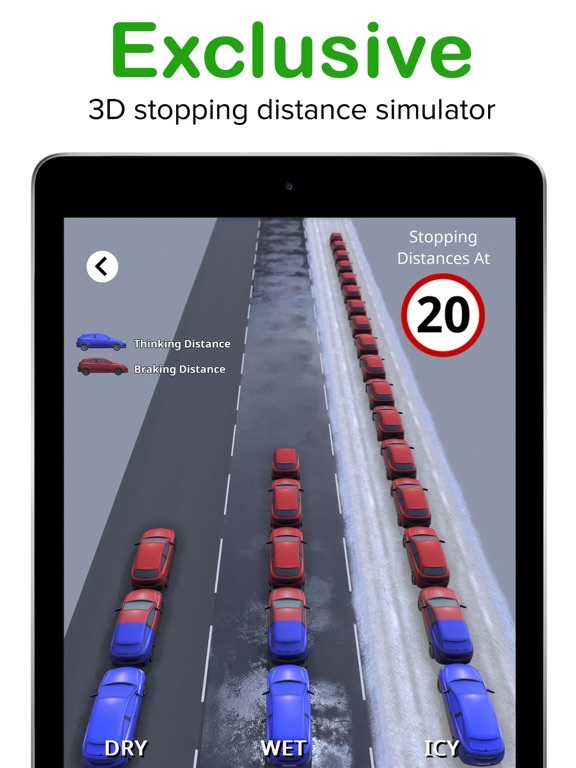 - Discover the top 10 ways to avoid failing your 2019 Practical Driving Test. - Access to exclusive offers and discounts only available within this app. 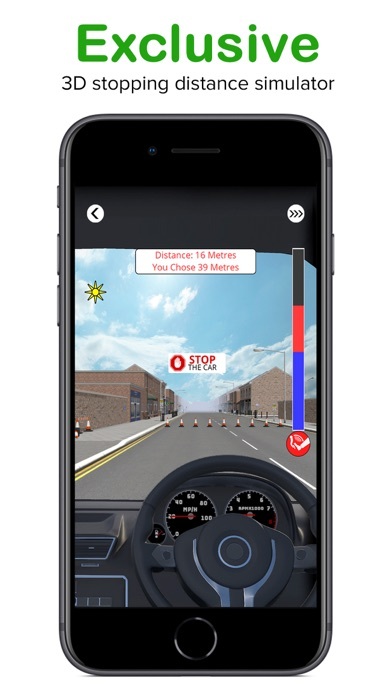 Save money on discounted car insurance, driving lessons, the latest tech, plus much more. 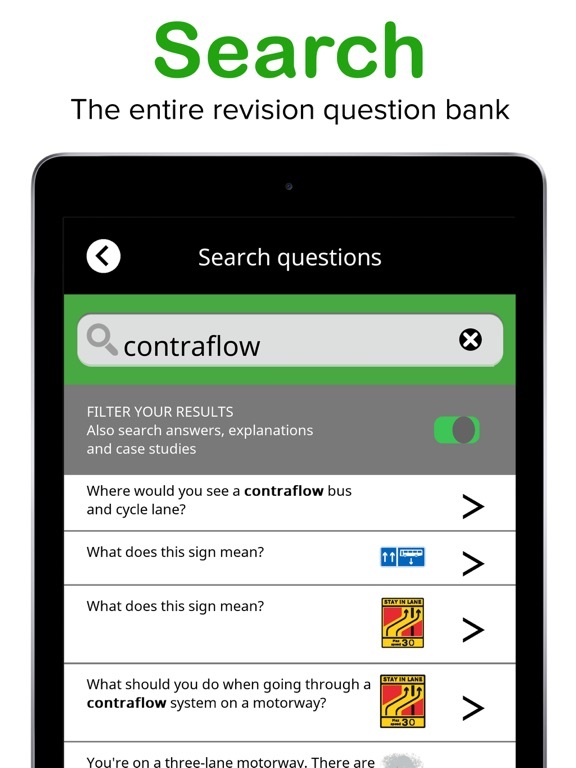 COMPATIBLE WITH APPLE WATCH: You can now revise for your driving Theory Test anytime, anywhere. 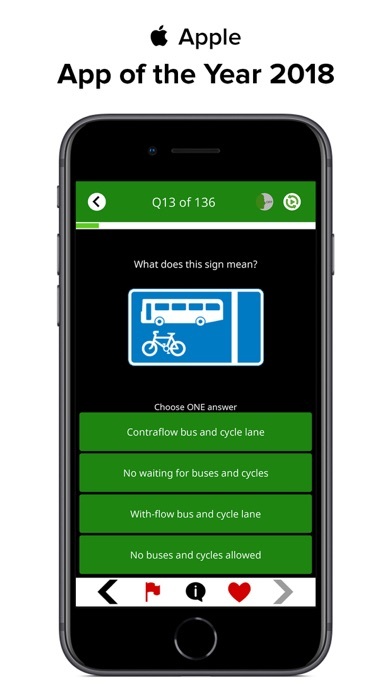 UK SUPPORT: If you experience any issues while downloading this app, please contact us at support@drivingtestsuccess.com. 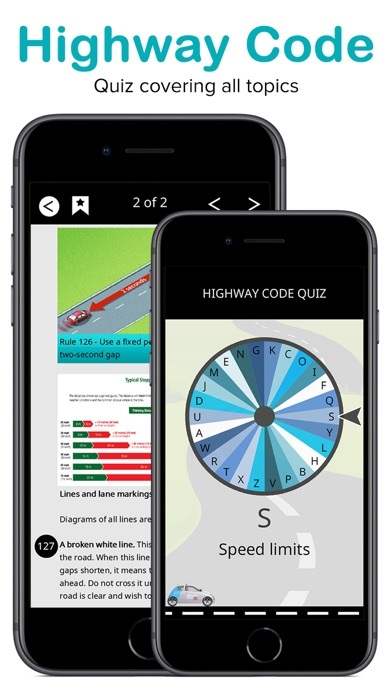 - DIA Driver and Rider Training Awards "Product of the Year"
You can now tailor your revision by downloading additional content in bite sized chunks as and when you need it. Initial download size: 434MB. Additional content to download: 780MB. 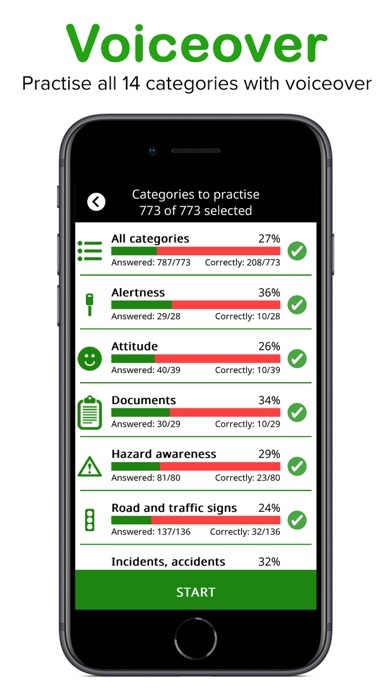 *Data gathered from a 2017 survey conducted by Driving Test Success sampling 345 of their app users. 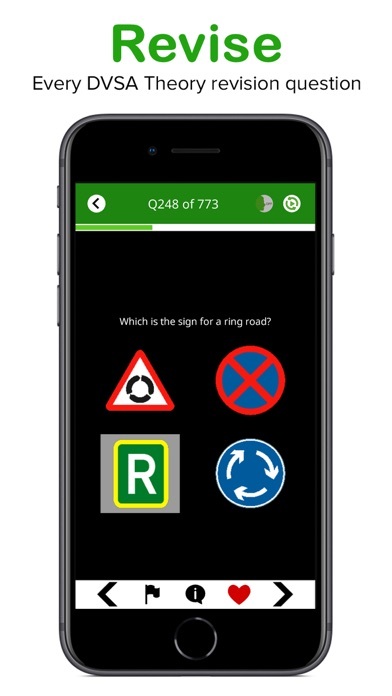 Of the 272 users that had taken their Theory Test, 245 (90.07%) passed using the Driving Test Success 4 in 1 app.